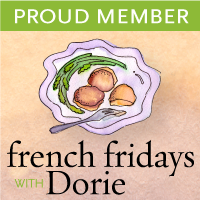 I've been craving fresh salsa and guacamole ever since last week's book club meeting. The host of last month's meeting whipped up some fresh salsa, and while it was delicious, my taste buds were not completely satisfied by the end of the night. I wanted more. Thoughts of salsa then manifested into guacamole, and before I knew it, I came home from St. Lawrence with some beautiful fresh tomatoes, avocados, red onion, limes, jalapenos and lots of cilantro. The fresh salsa looks so beautiful with all the colours going on: the vibrant red of the tomatoes, the green of the jalapeno and cilantro and the purple of the red onion. A squeeze of lime juice helps wake up all the flavours. So incredibly delicious! In the end, I actually added quite a bit of the seeds to the salsa as well, since I wanted a bit more heat to it. I'm excited to sear off a fillet of salmon rubbed with some chili powder and brown sugar later in the week, and serve it with some of this leftover salsa. I like my guacamole a bit on the chunkier side, so I usually don't mash it very thoroughly. The diced tomato adds some freshness and extra colour to the dip, but if you're not a fan, feel free to leave it out. 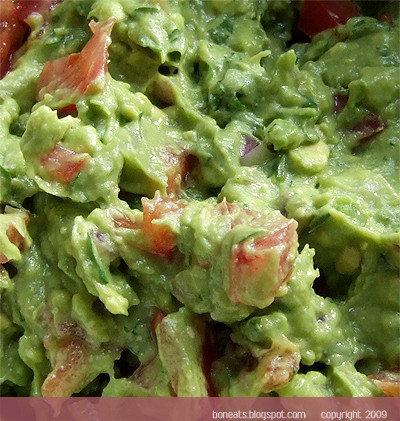 This guacamole is incredibly creamy and buttery packed with lots of flavours. So good with tortillas. 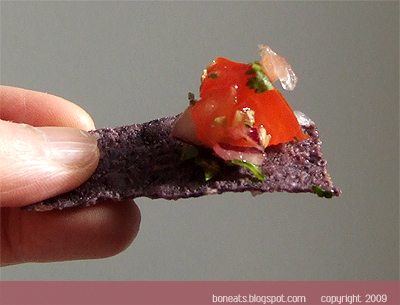 I personally love blue corn chips! Oh, and be sure to have a gum of pack on hand to fight off the post-onion breath! Now let's bring out the margaritas!! Cut avocados in half and remove seed. Using a spoon, scoop out avocado from the peel and place in a bowl. Using a fork, mash the avocado until you get your desired texture. 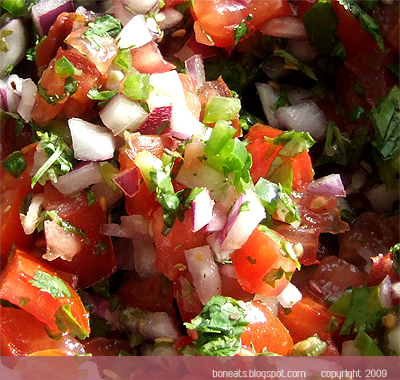 Add the chopped onion, cilantro, lime juice, jalapeno, salt and pepper and mix to combine. Cover with plastic wrap directly on the surface of the guacamole to prevent oxidation from the air reaching it. Refrigerate until ready. Just before serving, add the chopped tomato to the guacamole and mix. ** Note: If your avocados aren't ripe enough, stick them in a paper bag at room temperature and they'll ripen quickly in the next few days. Posted by Bonita at 7:54 p.m.